Hit a pastel-perfect fashion note with the 2011 Spring/Summer Amigo collection by Shampoodle. I had (good) eighties flashbacks when I browsed Shampoodle’s Amigo collection lookbook. All those pastels, comfortable leisure suits in one solid colour and denim in the palest of washes took me right back to my childhood. The Amigo collection is jam-packed with ‘happy-go-lucky’ pastels, rich patterns and thoroughly wearable designs. 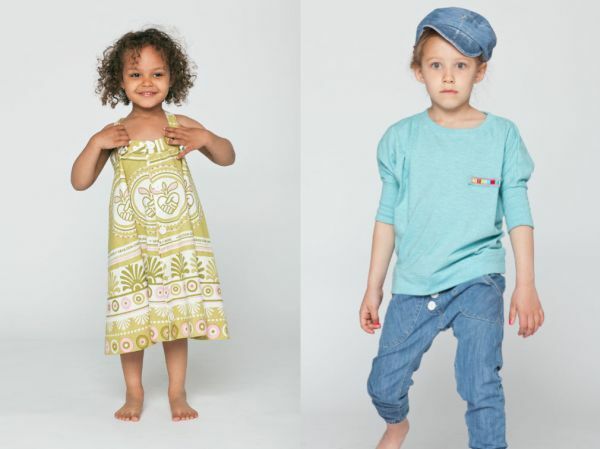 With an emphasis on creating clothes suitable for play, Sweden’s Shampoodle label manages to exude Scandanavian style. If in doubt, take a look at the modern take on the leg-of-mutton sleeve – cool. Check out the sneak peek pictures of the new collection below. You can buy directly from Shampoodle or sit tight and await new arrivals at Australian Shampoodle retailer, Whimsy Child. You can also read our previous posts on Shampoodle here.